West USA State Wide “Open House” Day! We can get your house on this list! 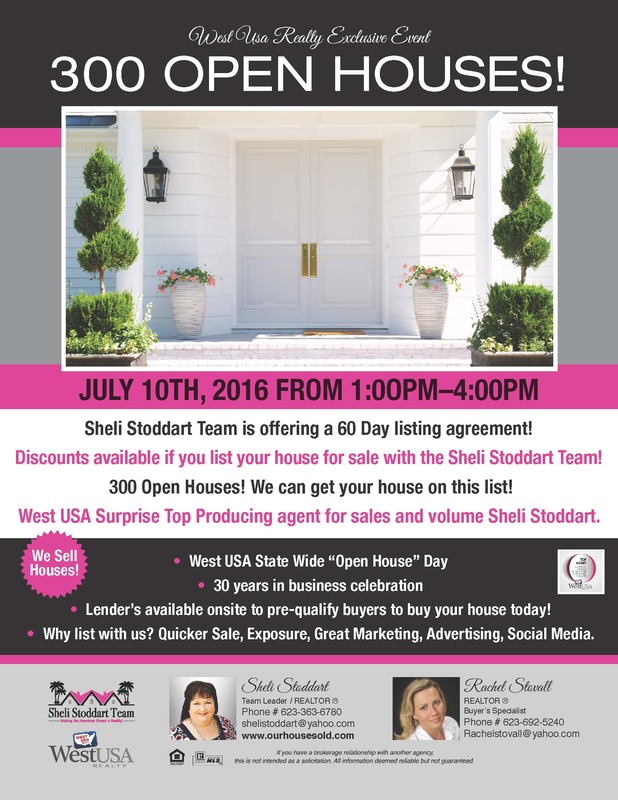 Sheli Stoddart Team is offering a 60 Day listing agreement! Discounts available if you list your house for sale with the Sheli Stoddart Team! West USA Surprise Top Producing agent for sales and volume Sheli Stoddart. We Sell Houses! • Lender’s available onsite to pre-qualify buyers to buy your house today! • Why list with us? Quicker Sale, Exposure, Great Marketing, Advertising, Social Media. If you have a brokerage relationship with another agency, this is not intended as a solicitation.